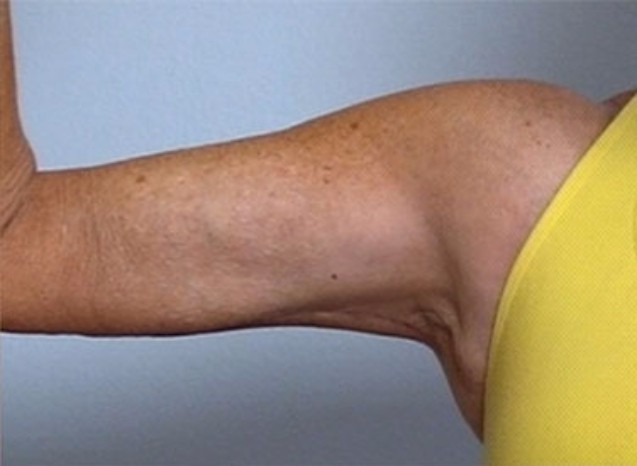 This 68 year old taught an exercise class and did not like the way her arm skin jiggled during exercise. 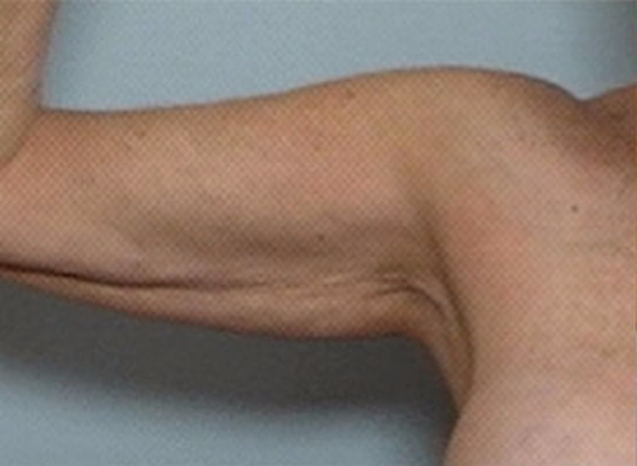 6 weeks after brachioplasty surgery, her arm contour is greatly improved. Note the well hidden scar.